The space-obsessed Trevor Beattie met his hero Buzz Aldrin, the second man to set foot on the moon, in 2012. Meanwhile, his agency’s performance was solid, if not exactly out of this world. After a hectic 2011, during which BMB launched several new revenue streams (including a media arm in partnership with Goodstuff Communications) and a string of new-business wins, the agency unsurprisingly needed to take stock. Nonetheless, it remained active on the new-business circuit. Notonthehighstreet.com hired BMB as its first creative agency after a pitch, and the shop picked up the AllSaints clothing retailer’s creative and media business. BMB, co-led by the founding partner Andrew McGuinness, fended off other agencies on the Agriculture and Horticulture Development Board roster to pick up the advertising for the English Beef and Lamb Executive ahead of a major push for red meat. The Bahlsen biscuits win, after a pitch through Oystercatchers, was another highlight. Some new-business quests didn’t work out so well, and BMB lost out on the pitch for Carling, a former client. BMB also lost a chunk of its William Hill account after the betting company awarded the football and horse-racing portion of its ad account to the start-up Fabula. 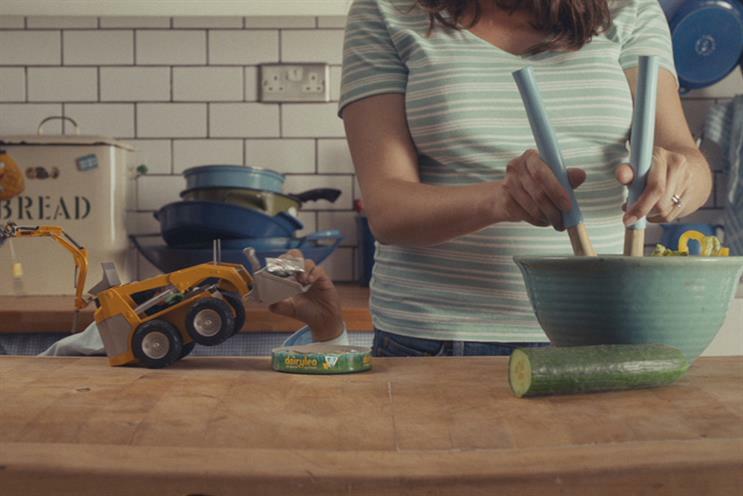 BMB’s creative highlights included some charming ads for Dairylea, which showed the product from a child’s perspective, and strong McCain work. The agency also won a silver IPA Effectiveness Award for its Yorkshire Tea activity, turned around an ad in just 24 hours for Greenpeace and released a TV and social media campaign for Microsoft Bing. Overall, though, the work could have done with a bit more spark, which hopefully will be something we’ll see more of from BMB in 2013. "Our ideas went a-travellin' in 2012. We virtually floated in space to help Northern Rock become Virgin Money, spent several strange days on a Mumbai train for Cobra and took flight with the Dreamliner for Thomson. We explored uncharted personalised dual-screen messaging territory for Grolsch and went back to nature with Dairylea. We began a journey to brand activation with 25 new chums from Neon and ended up on planet Bing. Lovely year. Great atmosphere."